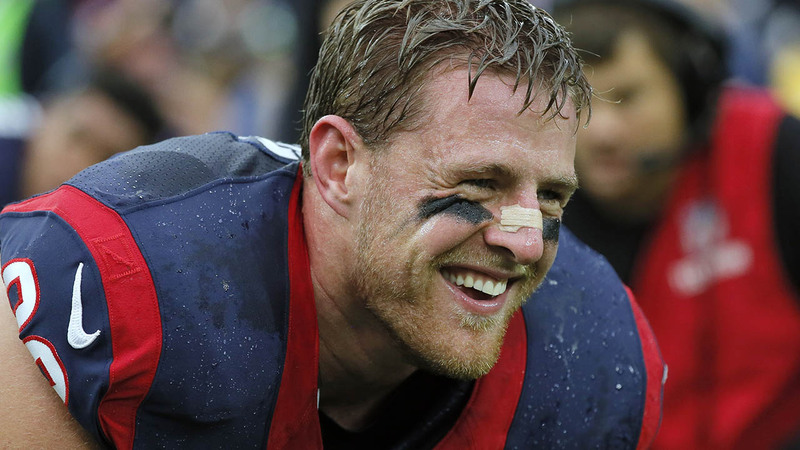 Three-time NFL defensive Player of the Year J.J. Watt unveiled a new logo on Sunday. The logo, which will be used for Watt's Reebok campaign, looks like "JJ" or a "W," but if it's turned upside down, it looks like "99," Watt's jersey number. The logo is designed to look like rising buildings, built from the bottom up, a metaphor for the work ethic of Watt, who was a walk-on before he received a scholarship at the University of Wisconsin. Reebok signed Watt in April 2015 and has used him in several spots with the tag line "Hunt Greatness." Read more on this story from ESPN.com.